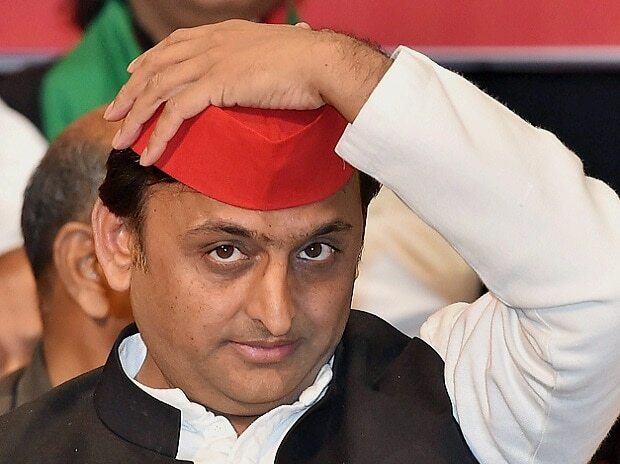 Samajwadi Party president Akhilesh Yadav will contest from Azamgarh Lok Sabha seat in Uttar Pradesh, which was represented by his father Mulayam Singh Yadav. While the 79-year-old SP patriarch will contest from "safe seat" Mainpuri this time, his name was conspicuously missing from the list of 40 star campaigners of the party released here Sunday. The Samajwadi Party also announced that senior leader Mohd Azam Khan will contest from Rampur. The party, however, sprang a surprise by not mentioning the name of its patron Mulayam Singh Yadav in its long list of its star campaigners. It included the names of party chief Akhilesh Yadav, Azam Khan, Dimple Yadav and Jaya Bachchan among others, besides Ram Gopal Yadav himself. In the 2014 polls, Mulayam contested from two constituencies, Azamgarh and Mainpuri, and won both. The SP has so far announced the names of 20 candidates, 19 in Uttar Pradesh and one Madhya Pradesh. Besides Mulayam Singh and Akhilesh Yadav, other prominent candidates are Akhilesh Yadav's cousins, Dharmendra Yadav and Akshay Yadav. While Dharmendra Yadav will fight from Badaun, Akshay Yadav will contest from Firozabad. Dharmendra Yadav, the son of Ram Gopal Yadav, will contest again from the seat that he has won thrice, while Akshay Yadav will contest from Firozabad, from where he had won the last parliamentary elections. The party has declared Dimple Yadav its candidate from Kannauj. The Samajwadi Party, the BSP and the Rashtriya Lok Dal have entered into an alliance in Uttar Pradesh for the April-May Lok Sabha polls. The Samajwadi Party has entered a pre-poll alliance with the Mayawati-led BSP and will contest 37 of 80 Lok Sabha seats in UP. While the BSP will contest on 38 seats, the RLD, which is also a part of the alliance, will fight from three seats. The SP-BSP-RLD alliance had left two seats for the Congress in Amethi and Rae Bareli. The general election is going to start on April 11 and will continue till May 19. Polling on the 80 seats in the state will be held in seven phases. The Samajwadi Party and the BSP will hold a series of joint rallies for the Lok Sabha polls, with the first being on April 7 in Uttar Pradesh's Deoband town. There will be several joint rallies in the state and besides the SP and Bahujan Samaj Party (BSP), the Rashtriya Lok Dal (RLD) will be also part of these public meetings, Samajwadi Party chief spokesman Rajendra Chowdhury said. The first of these joint rallies will be held in Saharanpur district's Deoband town on April 7 and will be addressed by Akhilesh Yadav, BSP chief Mayawati and RLD president Ajit Singh.May 23.